Carolyn Everson, the vice-president of global marketing solutions at Facebook, has spelled out the importance of brands to the social network. Speaking at a Starcom MediaVest Group session in Cannes, Everson was unequivocal in the role brands are believed to play in determining the company’s future. She said: "We wouldn’t have a company without brands, they are essential. Not only to the business side, of course that’s where the revenue comes from, but we also deeply believe that brands offer a tremendous amount of value to consumers, and always have." Everson went on to describe how Facebook, which has a market cap around $65.9 billion (£42.3 billion), has significantly evolved its business model over the last two years to better address the needs of marketers wanting to use the network. Among the problems for the 2004 Silicon Valley start-up was to get out of the habit of speaking about Facebook in terms of "social media" language. Everson said there had been a "fundamental shift from talk of ‘pages and fans’" to "speaking business language for brands and agencies". The company’s focus now is to listen to the needs and challenges of brands and to deeply embed themselves within their businesses. "We have a lot to learn," she admitted. "We need to understand their business deeply, share learnings and get feedback, because we’re only nine years old. Many of these brands have been around for 100 plus years. We have a tonne to learn." The company’s approach to brands is encapsulated at Facebook as "getting the badge": when executives are so ingrained with their clients, they are trusted enough as partners to come and go in their business freely. Everson, who spent eight years on the commercial side at US broadcast giant Viacom before joining Facebook in 2010, said: "It’s a vey different business model to ‘I’m selling you TV’. I’ve worked in many different media and I’ve never seen anything like it. It is a necessity because of how fast the industry is changing." 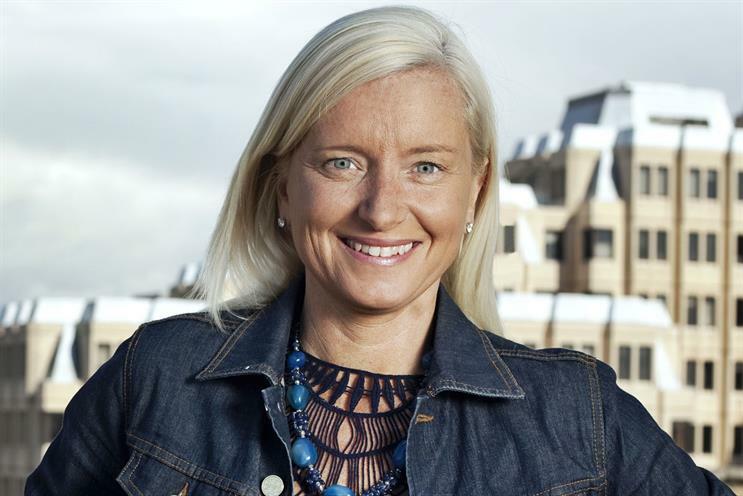 As one of Facebook’s top executives, American Everson has spent the past six months in London, nurturing relationships with some of Facebook’s biggest international clients, including Unilever, Nestle and Diageo. She has also formed close ties with senior agency leaders from Aegis Media, Havas, Omnicom, Publicis Groupe and WPP. In February, Everson helped establish Facebook’s first local market advisory board in the UK, comprising senior brand and agency marketers. The board is convening for its second time in Cannes this week. Everson will leave the UK for the US from 1 July, coinciding with the exit of UK commercial director, Stephen Haines – who is taking on a new role for the company in the US.